Pallets can be unloaded via tail lift, to smooth, flat, hard surfaces only. 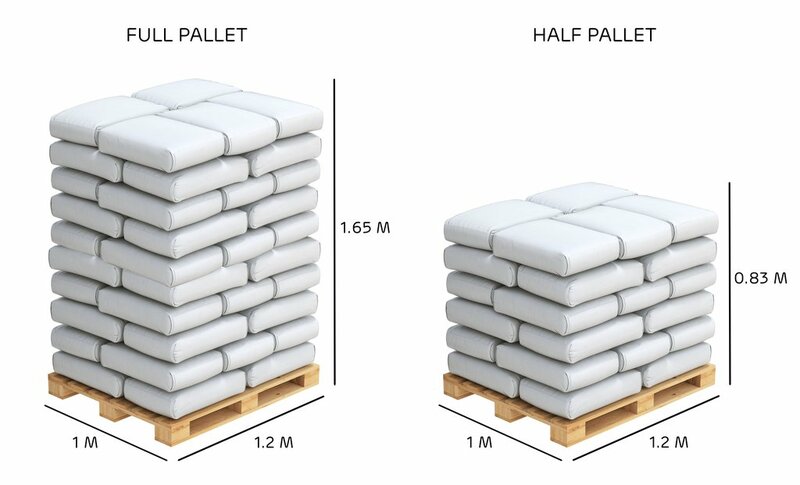 Pallets can be moved, within reason, on smooth, flat, hard surfaces only. We will inform you of the delivery day – usually 5 working days from order. Please contact us asap if you would like delivery on a specific week day. The pallet courier should call 1 hour ahead. We can organise additional delivery requests, for a surcharge, as below. Please email us your requirements on sales@pelletsbeds.com and call 01789 761333 to make payment. Although we make every effort to ensure our products reach you in good condition, unfortunately pallets can sometimes get damaged in transit. Before accepting the delivery, please ensure you notify the driver of any damage.We will endeavour to refund you for any product loss, but our insurers require photographic evidence and estimate of loss.